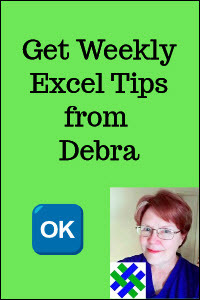 After you've created an Excel pivot table, you can use the Report Filters, or Row and Column filters, to limit the data that is being summarized in the pivot table. In the interactive pivot table below, click the drop down arrows on the field buttons, to operate the filters. 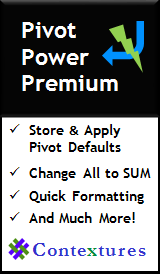 You can download a copy of the file, to test the pivot table features on your own computer.